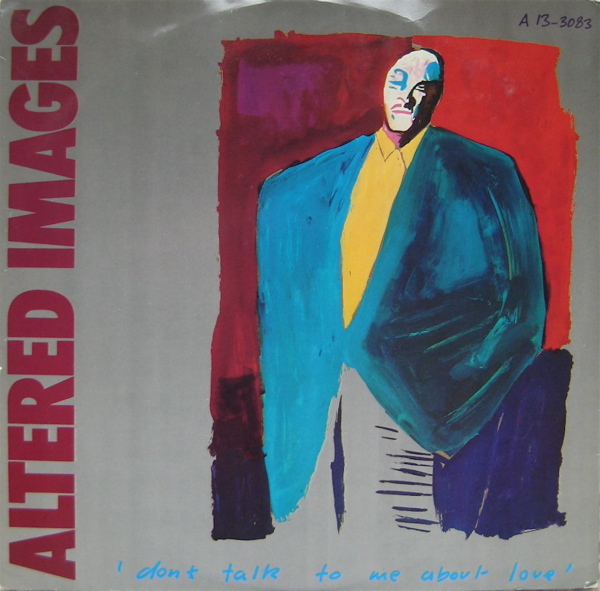 Altered Images were an early 1980s Scottish New Wave / post-punk band. Led by lead singer Clare Grogan, the band branched into mainstream pop music, and had a string of chart hits between 1981 and 1983. Ex-school friends with an equal interest in the UK post punk scene, Clare Grogan (vocals), Gerard “Caesar” McNulty (guitar), Michael ‘Tich’ Anderson (drums), Tony McDaid (guitar) and Johnny McElhone (bass guitar), sent a demo tape to Siouxsie and the Banshees, who soon gave the band a support slot on their Kaleidoscope tour of 1980. The band’s name referred to a sleeve design on the Buzzcocks’ single “Promises”, and was inspired by Buzzcocks vocalist Pete Shelley’s constant interfering with the initial sleeve designs. The band’s third and final studio album “Bite” followed the success of their previous two albums as well as a number of hit singles in the UK. For this album, the group recorded with producer Mike Chapman between October and December 1982 and then with Tony Visconti in March 1983.The resulting album was a change in direction from the group’s earlier post punk route, becoming a more polished pure pop sound. This direction was controversial with the group’s fanbase, and although the album peaked in the UK Top 20 (#16), it sold less than the group’s previous two albums, both of which had been certified Silver by the BPI. The first single, “Don’t Talk to Me About Love”, reached UK #7, becoming one of the group’s biggest hits, although further releases became less and less popular (“Bring Me Closer” UK #29, “Love to Stay” #46, “Change of Heart” #83).Soon after the final single and the group completed a UK tour, they disbanded.